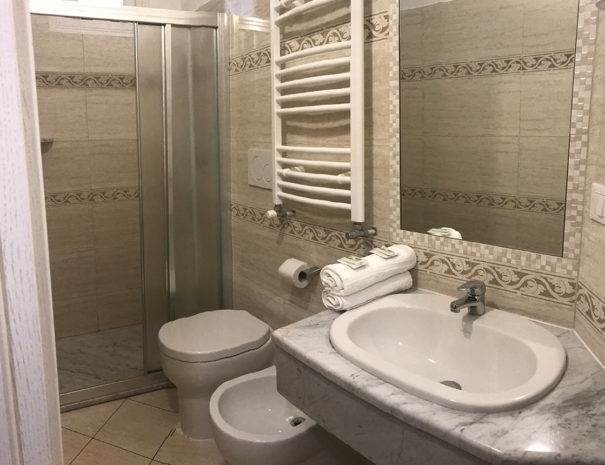 Hotel Mignon Alassio 2 stars is located in one of the most popular sea places of the Riviera Ligure of Ponente, also known as the Pearl of the Riviera. It is close to the suggestive Budello, the old town centre of Alassio, and near the beach, too. You have just to cross the street to see the sea and enjoy a beautiful holiday. The coast of Alassio stretches gently over 5 km and reaches the old village of Laigueglia in a beautiful seascape that will impress you. 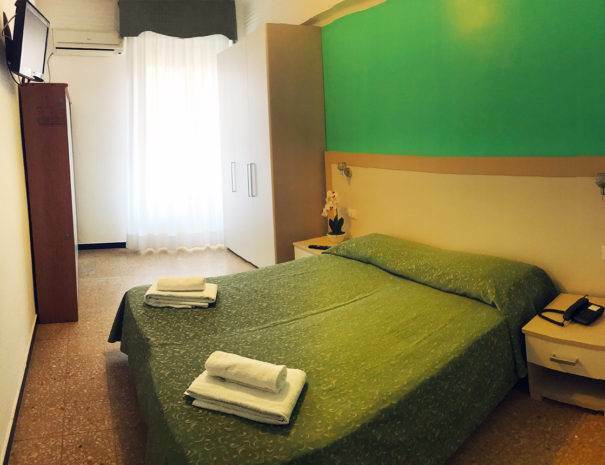 The hotel has 16 tastefully furnished, minimalist, clean and comfortable rooms.All the rooms are sunny and their minimalist and modern forniture aims to make all the guests feeling comfortable, be they families with children, friends in search for fun or people wishing to enjoy some relaxing days.The rooms of the Hotel Mignon Alassio are cleaned every day and are provided with all the typical comforts of a 2 star hotel by the sea in Alassio such as own bathrooms with shower, hairdryers, complimentary toiletries, air conditioning, safe, LCD TV and WI-FI.When you book your room, you can choose between half- and full-board.